What Are Your Annuity Options? 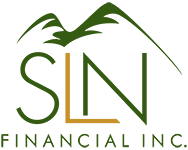 | SLN Financial, Inc.
What Are Your Annuity Options? Annuities: insurance contracts that offer guaranteed income, usually for life. Some even have capital appreciation. But, you probably already knew that. Do you know the five primary types of annuities, though? Each is unique, and all can be a great option for your retirement portfolio. Let’s dive in. Fixed-rate annuities pay guaranteed rates of interest, are simple, and can defer income or begin withdrawing immediately. Fixed-rate annuities have an income stream that’s highly predictable, and they also don’t require fees. These annuities grow either at the rate of an annual guaranteed minimum, or the return of a specified market index—whichever is greater. They also incur moderate fee levels. Immediate annuities are a no-fee, high-payment annuity that essentially acts as a life insurance policy. For a lump-sum payment, you will get regular income payments until death (or a specified time). Variable annuities, or VAs, are contracts between the insurance company and yourself. Once you open an account, the insurance companies will invest your money in different investments that could either grow or shrink your initial investment. These still provide guaranteed income for life, but can also bring in greater capital appreciation (albeit with higher fees). This type delays payments until a specific future date, that’s at least over one year away at the time of signing the contract. Deferred annuities are good for increasing income streams later in your life, while costing less money up front. Need help deciding what annuity is right for you? Give us a call and we can assist you in making the right decisions for your personal situation.